ASCEND Online, BC’s first Catholic DL school, was established in 2011. St. Ann’s Elementary School, located in Quesnel, was established in 1986. St. James School, located in Vernon, was established in 1957. 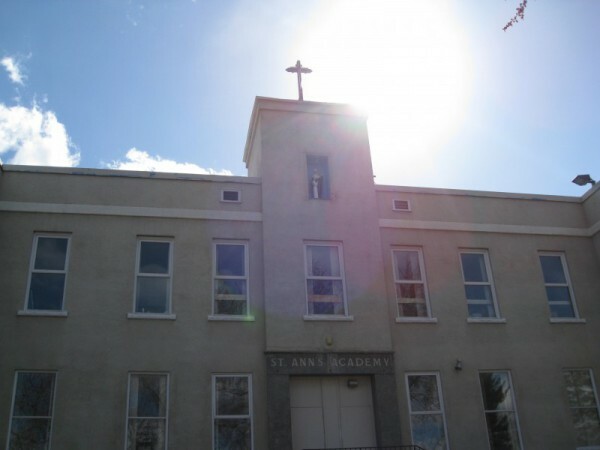 St. Ann’s Academy, located in Kamloops, was established in 1880. It is BC’s longest, continually operating independent school. Welcome to the CISKD Website! Welcome to the Catholic Independent Schools of the Kamloops Diocese! Thank you for your interest in considering a Catholic education for your family! Catholic schools offer a unique version of holistic education to develop the whole person in Christ. Through a rich, cross-curricular permeation of our Catholic faith within the context of a safe and nurturing environment, all are encouraged to reach their God-given potential. Our schools are a place to encounter the ‘Living Christ’ and to learn of His great and transforming love. We are all called to be witnesses of Christ in our daily lives by living out the Gospel values, thereby empowering our graduates to ‘go forth, and make a difference in the world”! 'Come and See' the Good News in Catholic Education and what it can offer your family by visiting one of our schools!